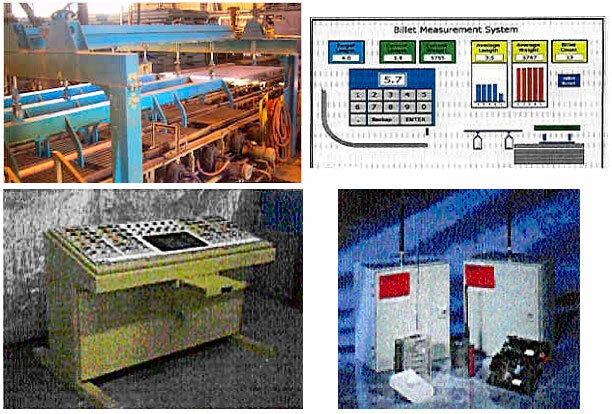 Technical Weighing Services offers more than stand alone scales. We know that you often have a need for your scale to be an integrated part of a control package. Some of these applications include Batching, Billet/Bloom, Scrap Blending for the Steel Industry and the Omni Scale Digital Diagnostic System, typically used for harsh environments. Other applications are Wireless Communications, Concrete, and Asphalt Batching using Hoppers, Truck or Rail scales. Your process may be a simple application with analog or serial signals, or stand alone batching systems for the food and material handling industries. We also integrate scales with computers to interface with your level 2 control systems. See some examples below for an idea of what we can do for you. Most applications are custom designed for your specific needs. Torch Control: Integrated torch control and automatic length compensation. Variation to target is statistically analyzed to provide next cut pre-action. Reliable Length Control Implementing Better Sensor Technology: Measure by contact roll resolver (eliminates failure-prone encoder electrical and mechanical problems), or contact-less long-range laser range finder technology. Selection of Cut an Optimization Method: Cut by length or cut by weight. Metallurgy entered in system parameters interacts with length calculation. Integrated Weigh Electronics: Our use of tightly-integrated PLC-based weigh modules allow fast, easy setup and calibration to flow within the operator GUI: no need to “crack the book” or fuss with cumbersome calibration routines or third party black boxes. PLC stored calibration values reset to original upon module change-out. PLC Based System with Open or Dedicated: GUI for Operator interface to your plant standards. Check Weigh Mechanicals Suit your Line Arrangement: Pick and Weigh (overhead: low maintenance); Lift & Weigh or Set-Aside and Weigh. Weigh data is compared to length data and chemistry for accurate statistical cut control using our proven algorithms. Statistics: Graphically track length, weight, shift uptime and productivity. Generate hardcopy or report to your Level 2 system via plant or industrial net. TWS can even provide ties to company MIS and Production Orders System and financials. Know your cost and get the data real-time! Accurate weighing on your transfer car, rail car, or static bucket scale. Reliable Radio Modem communication of weights to crane cab. Recording and storage of weights loaded, by grade, for bucket and heat. Optional link to level 2 systems for downloading weights, and uploading recipes. Can handle multiple crane applications. If you have a load cell based weighing system in a harsh, difficult to troubleshoot environment, then OmniScale provides an alternative to traditional weighing instrumentation. The OmniScale system consists of a multi-channel high-resolution digitizer located at the load cells, and a PC based software package located remotely that is the weight indicator. Since the digitizer converts each load cell individually, and sends the data back to the OmniScale PC for totalizing, calibration, individual Load Cell diagnostics and troubleshooting can be done remotely. Since the connection between the OmniScale Digitizer, and OmniScale PC is a simple serial link, you no longer have to worry about the reliability of running low voltage load cell cables long distances. Also, TWS’s optional Spread Spectrum Radio Link communications is perfect for moving machinery applications, because it eliminates any cabling between the load cells and the readout. Accurate high resolution weighing in harsh environments. Up to 4 Load Cells can be individually digitized at the scale with industrialized electronics. 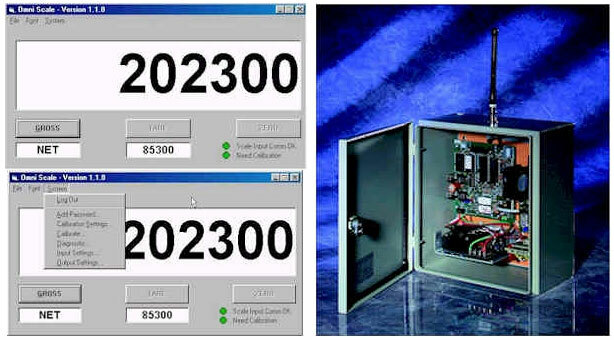 PC based scale software allows remote calibration and individual Load Cell Diagnostics. Load Cells can be individually disconnected in software for troubleshooting without having to physically go to the scale, and calibration will be retained. Wireless communications eliminate cables between the load cells and the weight indication. Multiple OmniScale software packages can run on one PC. OmniScale PC can connect to other systems via RS232 serial links, Ethernet, or a variety of PLC vendor network interfaces. 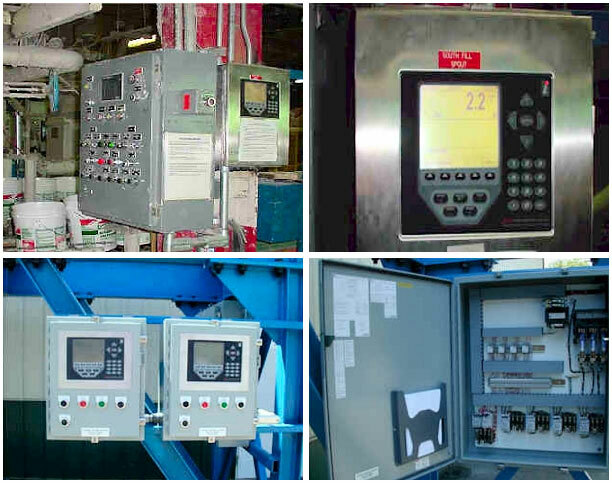 Contact us for assistance with your Control Systems Application.